How did you come up with the idea of ​​starting your business? Present in the tourism market since 2005, our quality of service has led us into the world of private aviation. Beginning in the car rental, our customers no longer want to rent for the entity but rented for the quality of service provided by the team. That pushed us to create E-Noemi, and to enter the world of concierge, more than an assistant we organized the professional trip orleisure of our customers going from the rent of a car to the hiring of villas or a stay in yacht. In 2012, some of our customers asked for private plane flights, which was a revelation for E-Noemi. To the point of directing the activity of the company in this unique direction to make the conciergerie only an additional asset in this new adventure that is private plane charter. What are your activities ? your products ? E-Noemi offers private plane chartering from turboprops for a short commute to private commercial aircraft for long haul journeys. With a wide choice of over 5,000 aircraft worldwide, E-Noemi will charter the right aircraft for you. Exclusively oriented in the total privatization of the plane, our customers can adapt their flight schedules to these needs, and enjoy permanent flexibility. We supervise all ground operations (“welcome, coordination, baggage handling, security, customs, immigration”) as well as in flight (“standard or personalized catering, specific services”). What are your commitments / values? Our commitment comes down to “Quality of Service”, our different approach to private jet charter and our availability lead us to be more than just a service provider. To organize a flight we will move to the home or the company of the customer because the human contact is the main asset of the E-Noemi team. For some, the signature of a charter contract (hiring) of private plane requires to establish a confidence that we translate by our movements closer to the customer. Choose your schedules and do not be afraid to miss your flight, the plane does not leave without you. Do not suffer queues, delays or strikes, arrive 10 minutes before your departure and embark immediately. Access a network of airports inaccessible to commercial airlines and land as close to the desired location. Set off for stopovers and enjoy direct flights. Enjoy a confidential and totally private world. The plane is at your disposal. Embark and take off from dedicated terminals. Free yourself from the stress of traveling by plane (loss of luggage, delays, strikes, queues, etc.) and travel with complete peace of mind. Enjoy the convenience of VIP terminals to relax. A high-end restaurant and a range of tailor-made services are at your disposal. Find the privacy of an office to conduct your business from the plane. Stay connected to the outside world thanks to on-board telecommunications equipment. Finish with the fatigue of conventional travel and stay productive. No more luggage lost or damaged. Organize your days at your convenience and no longer be dependent on schedules. From then on, E-Noemi stood out thanks to our availability in the field at the departure or the return of our customers during a private flight. We also give special attention to customers wishing to compare their official supplier to justify the interest of joining E-Noemi. Such as the guarantee of a lower rate for an identical service, this ability has allowed us to build trust with our new clientele already experienced in the use of private plane for their professional or leisure flight. Our position at Nice airport brings us an exceptional presence, present at conferences between Cannes and Monaco. 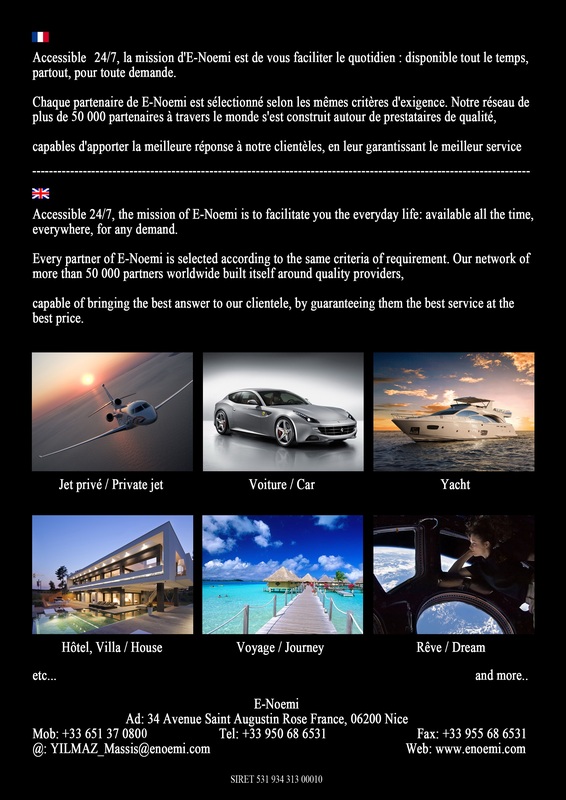 E-Noemi stands out in the participation of the development of the private aviation sector on the French Riviera. 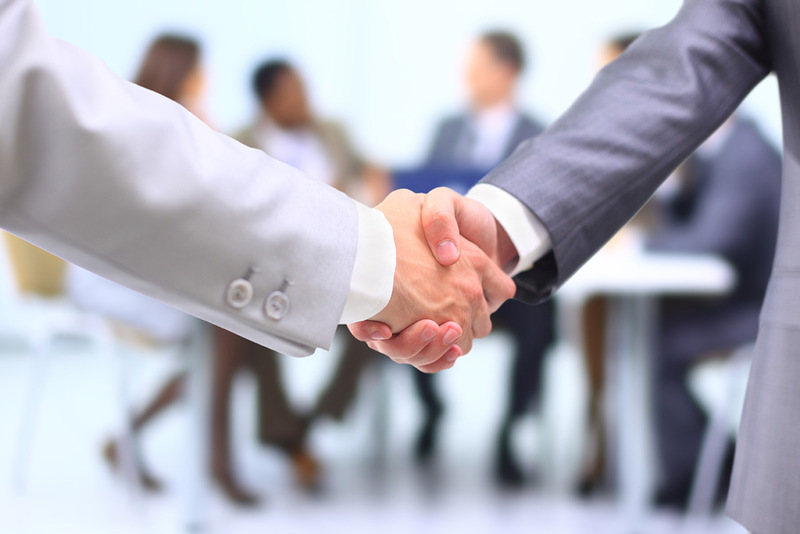 Our experience allows us to act around the world to find trusted service providers to provide the service such as a private driver , a bus, a hotel or other services.